Crafters Companion > Blog > We’re Walking the Air! 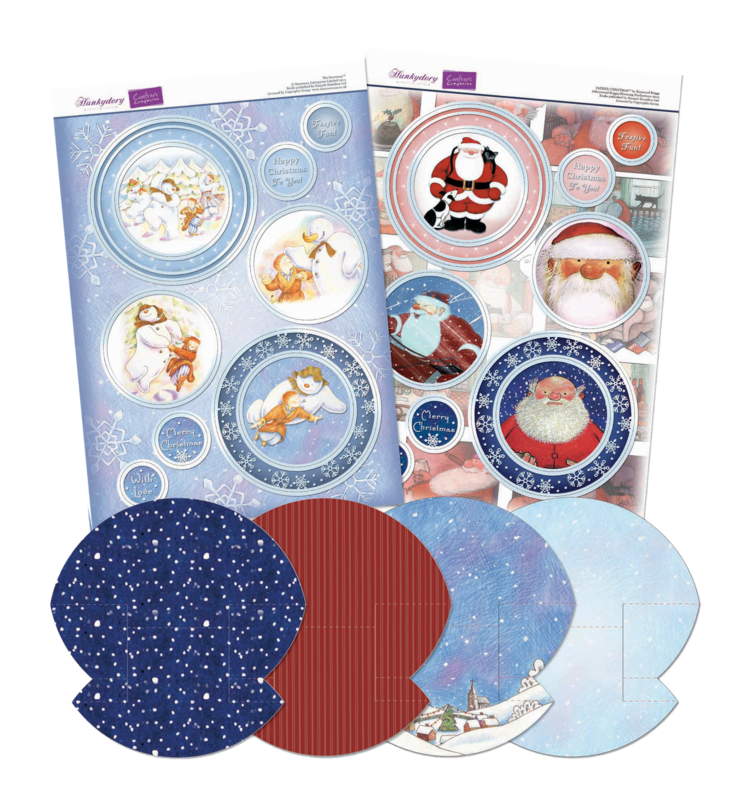 Well, what a great time we’ve had down at the TV studios this week – we’re thrilled that you all seem to love the Mulberry Wood and The Snowman/Father Christmas products we’ve been bringing you this week! 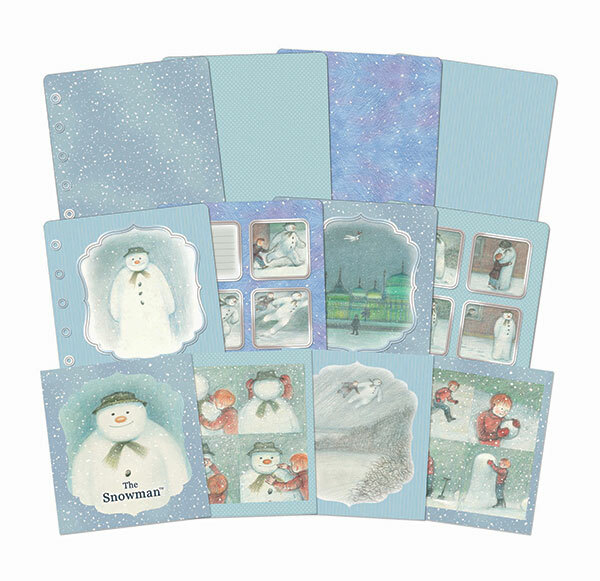 First up, the 8″x8″ scrapbook kit contains all the materials you need to make a scrapbook featuring the fabulous and iconic designs from The Snowman by Raymond Briggs, including fancy shaped chipboard pages, stunning silver foiled page coverings, foiled and die-cut topper sheets, printed inserts, ribbon and a full instruction sheet too! It’s available for just £9.99 – click here to get yours now! 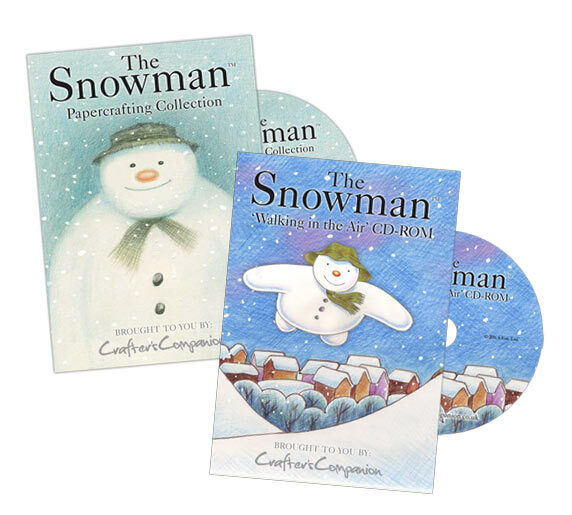 The Rocker Card Kit will enable you to make four complete rocker cards featuring artwork from both ‘The Snowman’ and ‘Father Christmas’. 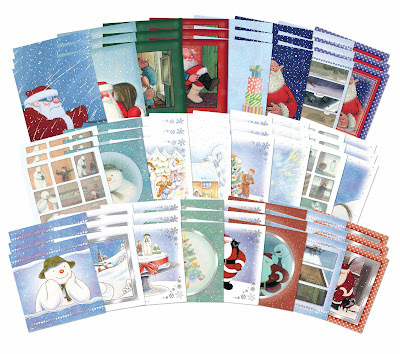 It’s just £3.99 per kit and you will receive card blanks, toppers and the envelopes too! Click here to get yours now! Did you see the fabulous Diarama card that Sara’s Nana made, that she showed on the live shows? Now you can make some too, with the fabulous Diarama Kit, available for just £4.99! With the kit, you’ll be able to make four complete cards. Click here to order yours! You were just loving the fabulous foiled and printed paper block when it was on Ideal World earlier this week! 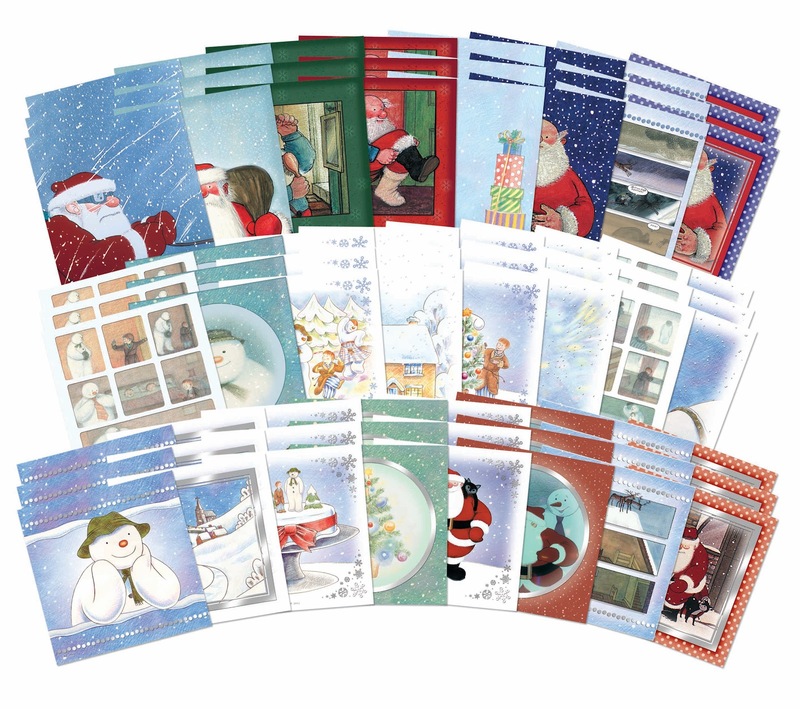 The paper pack includes a wonderful mix of foiled and festive printed co-ordinating 6″x6″ papers, with a total of 72 sheets for just £9.99! 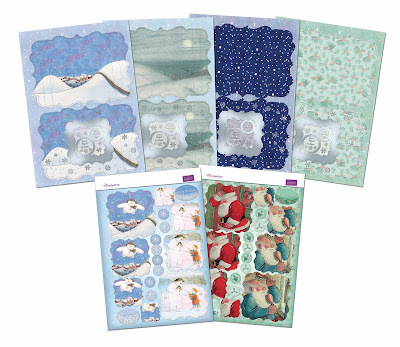 They are perfect as the focal points for square cards, or why not create your own decoupage with them? The crafting possibilities are endless! Get yours now by clicking here. If you’re looking for sparkly embellishments for your festive cards, look no further than the massive 252 piece luxury foiled embellishments kit! 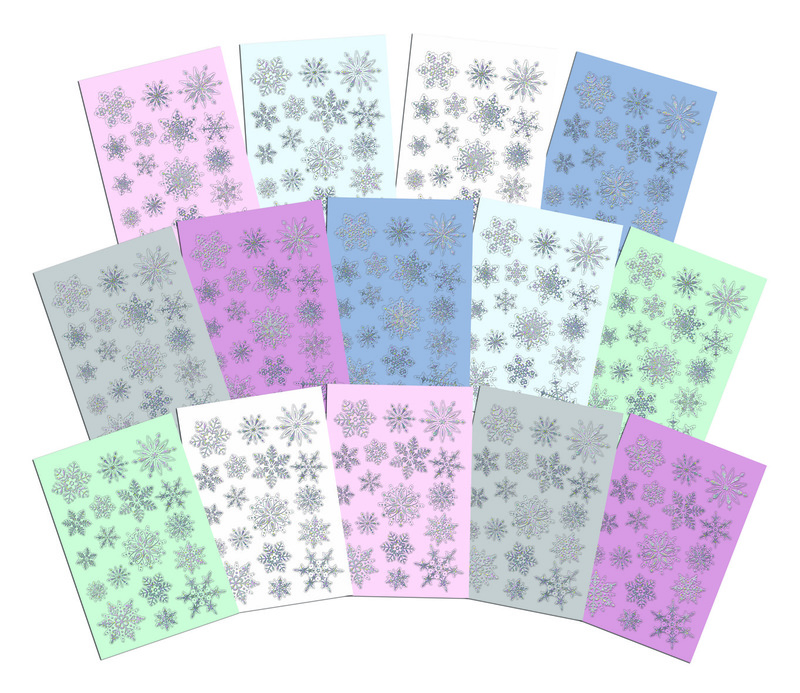 You’ll receive fourteen A4 sheets of foiled snowflake embellishments printed on to 350gsm cardstock, across a variety of colours. 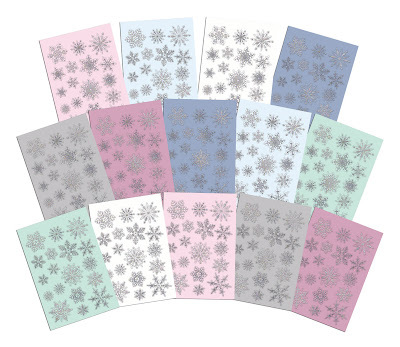 Simply press the snowflakes away from their backing sheets and layer up in a medallion style, or why not create a stylish wreath of festive flowers for a unique card topper every time? The kit is available for just £9.99, and you can click here to buy yours now! Don’t forget – for this week only, the £9.99 kits are available as part of a 3 for 2 multibuy. So you can get any three of the £9.99 kits for just £19.98! We also have our ‘The Snowman’ and ‘Walking in the Air’ CD-ROMs still available!